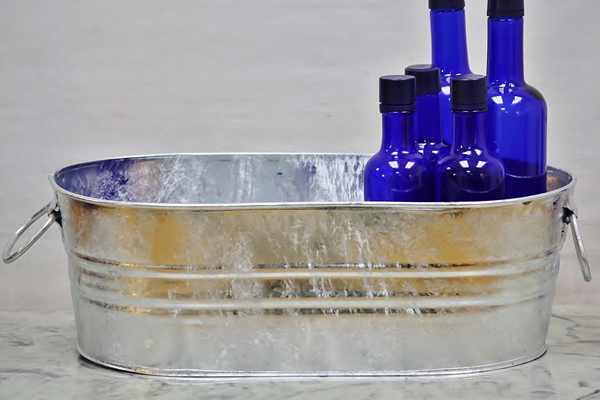 Our 3.7 Gallon Galvanized tub features a spangled hot-dipped finish that brings a bit of rustic flair to your home. It is constructed with a wire-reinforced rim, heavy-duty body swedges, and an offset bottom to enhance durability and longevity. 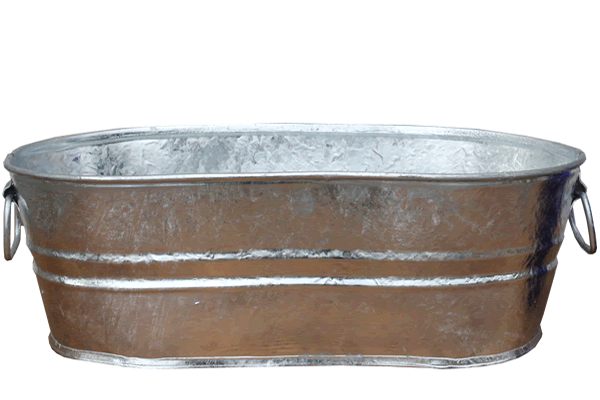 Since it is resistant to corrosion, it will last for years serving a variety of purposes, from carrying animal feed to transporting garden tools and fresh vegetables around your property. Afterwards, rinse the tub out, fill it with ice and drinks, and use it for your next cookout (holds up to 21 standard drinks)! Available with our without manufacture label. We also offer a 2.25 gallon tub if you are looking for something smaller.